Throughout my travels this past year, I have been very blessed in the fact that I have come across some of the kindest individuals in this world, who have selflessly shared with me their time, resources, and encouragement: From the Rodriguez family, who hosted me in their home for almost a month as I interned in Barcelona; to Giuliana and Erik, who had me over to their home in Berlin for home-cooked meals; to Steve and Maragrit, who gave me a personal, historical bike tour of Wannsee and grilled for me; to Eric and Marcel (and Fritzi, who made the introduction) who had me and my mother to their home; to Maestro Voronkov, who has given me tickets to some of the most exhilarating performances; to Miguel, who made sure to show me Europe as I had never seen it before (I mean, the Sacre Coeur in Paris is a pretty epic place to experience Easter! ); to my friends – both new and old – who always seem to know my deepest times of need and encourage me; to my dear family and cousins, who have encouraged me in my job search; to complete strangers on the streets and on airplanes who say just the right words at just the right times. To be honest, I am quite humbled by all of the outpouring of love and attention these past few months – and I have no earthly idea how I can possibly repay everyone for everything they have provided me. Although this past year has been a whirlwind of adventure, excitement, and exploration, I will not lie: they have also been filled with a certain degree of anxiety for the future, loneliness, and uncertainty. Although I know that my future holds exciting things for me, I often forget this fact in the humdrum of everyday life. The third section is entitled “Los Grandes Rasgos de la Historia Clásica: Los Tiempos Modernos,” which deals with the years from 1479 to 1598, in which Spain became united and created one of the largest empires the world had ever seen in the Americas. As the author notes, “Tres reinados y poco más de un siglo. Este tiempo bastó para proporcionar a España uno de los más brillantes triunfos que la historia conoce. Éxito demasiado rápido, ciertamente, para poder asegurar su solidez; y que será seguido de profunda decadencia. Pero esta época ha dejado a España el orgullo legítimo…” (page 59) In other words, during this short time, religious unity was achieved (albeit, through often horrifying means and forced assimilation), a modern state was created, and an empire was formed. It was too brief a time to achieve all of this solidly and Spain was pushed to its limits. The fourth section is entitled “Los Grandes Rasgos del Período Contemporáneo” and discuses Spain’s challenges in entering into the modern world. Although in these early eras, Spain was still quite diverse, “España afirmó su cohesion, su valor de grupo” (page 120) through the Napoleonic era and the War for Independence. This section also discusses the political and governmental changes that occurred in Spain throughout the 1800s – multiple constitutions, experimentations with a Republic , and the return to monarchy - as well as some of the social challenges in society. The fifth and final section is entitled “Las Crisis Contemporáneas” and discusses the events leading up to the rise of the dictatorship of Franco. In 1931, a Republic in Spain was reestablished, following the fall of the monarchy. The Republic, however, was short-lived, as Civil War broke out in 1936. The author notes that there were many problems with the Republic. Interestingly, “La Constitución fue creada sobre el modelo de la de Weimar, la más democrática en Europa… [con] sufragio universal, extendido a las mujeres y a los soldados.” (page 187) However, the new-found Republic lacked infrastructure: a decent school system, challenges with the place of religion in a modern society, the strength of the military, and the differences between different regions. As it was written during the era of Franco, the book then offers a brief analysis of the Franco regime and what it meant for the development of Spain. 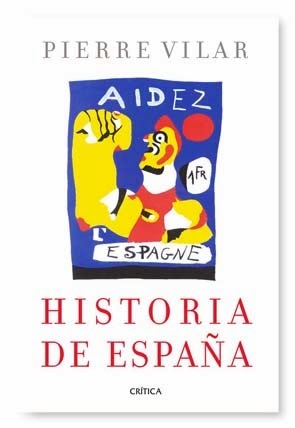 I found this book incredibly interesting because it provided me a sense of the diversity of Spain from a historical perspective, and then provided me with an understanding on how the country went about developing into a nation. It is a concise book and provides a very interesting and thought-provoking overview into a history about which I knew very little. Thank you Manuel and Silvia!